Google Chrome, this web browser doesn’t need any introduction as it is the best web browser you will ever find for any operating system platform. 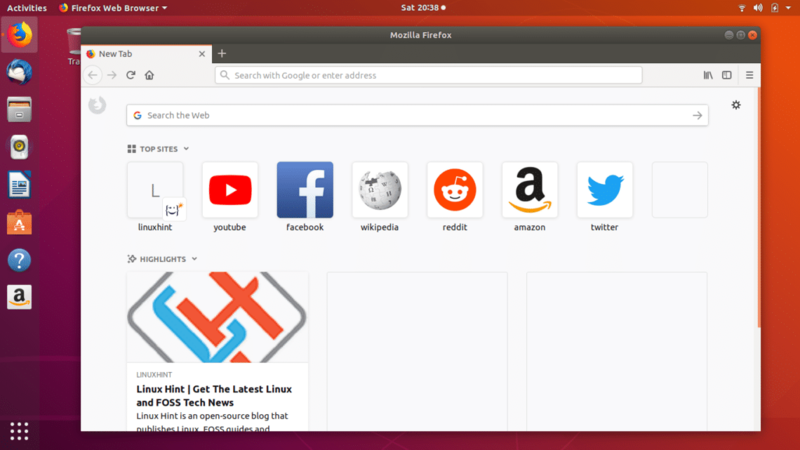 It has been tough competitor to Mozilla Firefox which is default web browser on most of the Linux Distros including Ubuntu. You might have heard of Chromium web browser which is an open-source project supported by Google and Google Chrome and a closed source web browser based on Chromium. If you ask me one reason to switch from Mozilla Firefox or any other web browser to Google Chrome then it would be seamless access to Google account. 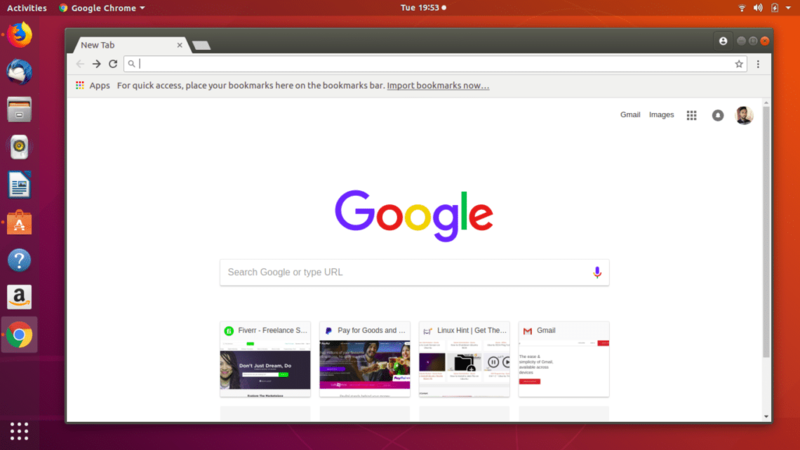 You can easily sync your bookmarks, browser history, calendar, and emails between your mobile phone and Chrome browser on your Ubuntu desktop. Apart from that, for users data security it comes with malware blocker which is must have feature today. Google Chrome ships in with built-in flash player which enhances your browsing experience while surfing multimedia content online. It also comes with lot of plugins and extensions that can be used to improve the browser features. 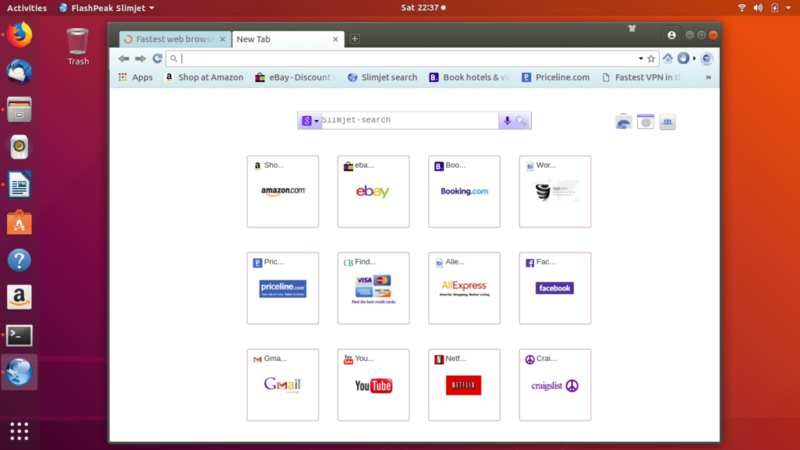 It is an all-rounder web browser you will ever find for Ubuntu or any other operating system. Firefox ships in as a default web browser with most of the popular Linux distros as it is one the best and stable web browsers alongside Google Chrome web browser. Firefox is popular for its support for thousands of plugins and extensions that makes it a feature-rich web browser with almost every feature to offer. 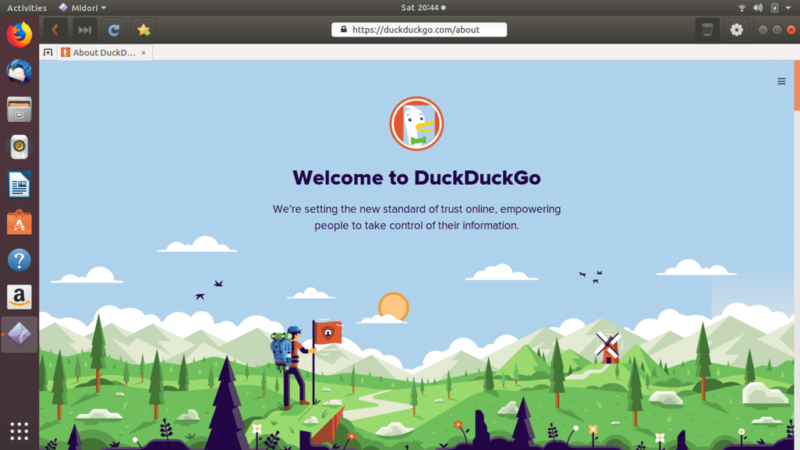 Firefox uses Gecko, Quantum and SpiderMonkey engines to display web pages and ensure seamless browsing experience to end user. It sports intuitive user interface with features such as smart bookmarks, dedicated download manager, tabbed browsing, private browsing and spell checking. If you’re a web developer then this is a must have web browser for you as it provides a dedicated environment with Error Console and DOM Inspector. Also you can use Firebug extension which can be easily integrated into Firefox browser. Opera is very popular closed-source web browser which was first released way back in April 1995. 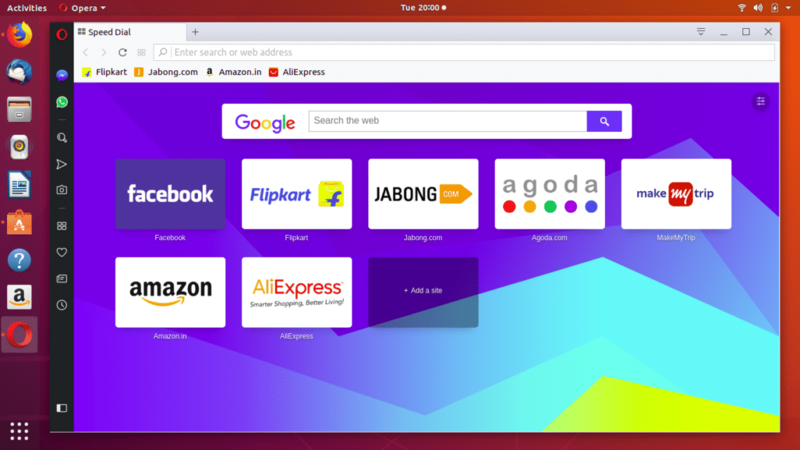 Opera uses Blink engine for web page layout and fast browsing. It is one of the most fastest and secure web browsers which is available for multiple platforms such as Windows, Linux, Mac and Android mobile platform. Opera is one of the most secure browsers you will ever find for Linux. It ships in with unlimited free VPN service which helps to browse on internet with enhanced safety and security. It also comes with dedicated malware blocker. It also comes with built-in ad blocker which makes sure web pages load faster as compared to other web browsers. As it’s a closed-source web browser it doesn’t need additional plugins and extensions to enhance its features. It offers features like visual bookmarks, tab cycling and customizable shortcuts. One of the best features liked by most in this internet browser is video pop out feature, it is a floating, moveable video frame that lets you watch your favourite videos while you are working on other things or browsing content online. 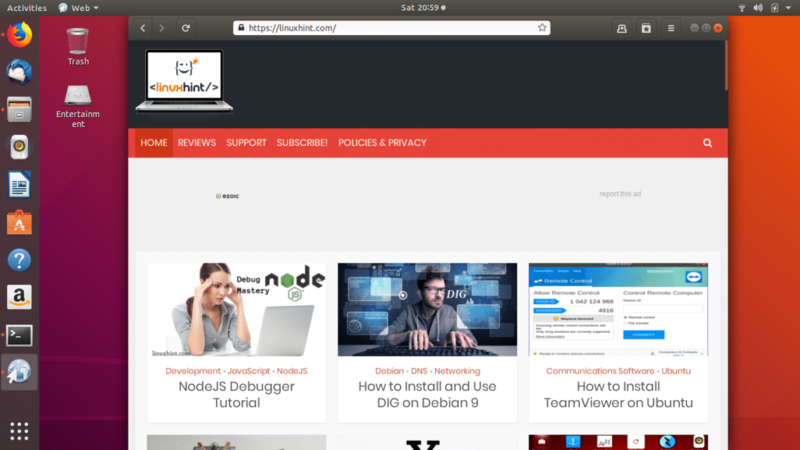 To know more about Opera and how to install it, you can follow my guide on Opera Web Browser for Ubuntu. Brave is an open-source web browser which is famous for its ad blocking and tracking feature. Developed by Brave Software Inc., web browser is based on Chromium open-source project backed by Google Inc. and it uses Blink engine for seamless browsing experience. By blocking ads and website tracker for you, Brave pays to Websites and YouTube creators on behalf you. In return you get fast and secure browsing without getting involved in the risk of compromising your important data on internet. 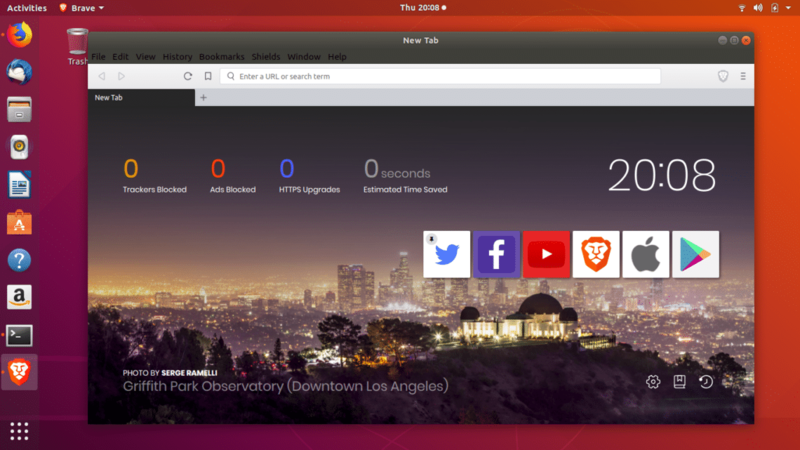 Brave web browser comes in with some unique features such as secure site upgrades where this web browser automatically upgrades to HTTPS connection for secure and encrypted communication. 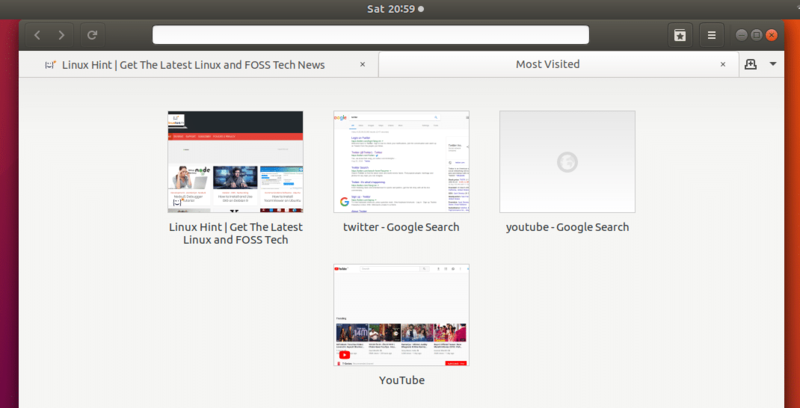 This feature you will hardly find in any other web browser available for Ubuntu. 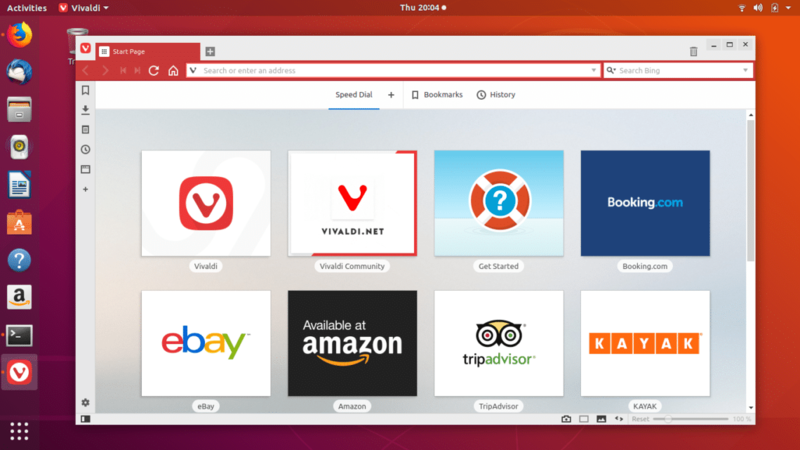 Developed by Vivaldi Technologies, Vivaldi is a free cross-platform web browser which is specially developed for heavy internet users. 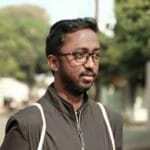 This browser adopts some popular features from Opera 12 which was based on Presto layout engine. You will find many similar features from older version of Opera web browser and My Opera. Vivaldi is one of the most flexible web browsers out there which gives you full control over customization with features like tab management, customization to create your own unique experience, keyboard shortcuts, mouse gestures, quick commands through command line, and a bookmark manager. It also features set of built-in tools such as Notes which you can use to take down notes while surfing on web, Capture Screenshot of full web page or a particular area, Image properties tool which can be used to get in depth information about the image like copyrights, histograms, etc. Despite being minimalist web browser, it doesn’t lack in number of features on offer. This web browser groups tabs in task and lets you rearrange them using drag and drop. Min ships in with DuckDuckGo search engine which can be changed if you wish to use any other search engine. For fast browsing experience it blocks ads and going one step further you can also block scripts and images to save your data. Min doesn’t stop there and offers some other features like reading mode, focus mode, PDF viewer and keyboard shortcuts for smooth navigation. So it is a feature-rich web browser which runs on minimum RAM usage. Falkon (formerly known as QupZilla) is a free and open-source web browser developed by KDE. In August 2017, Qt-based QupZilla web browsers name changed to Falkon with some under the hood changes like change in build system from qmake to Cmake. Falkon web browser offers feature like several icon sets matching users desktop operating system, web feeds, bookmarks, speed dial home page, screen capture, DuckDuckGo as default search engine and built-in Ad-blocker for users safety. Apart from that it sports really good user interface which is easy to navigate and user friendly. 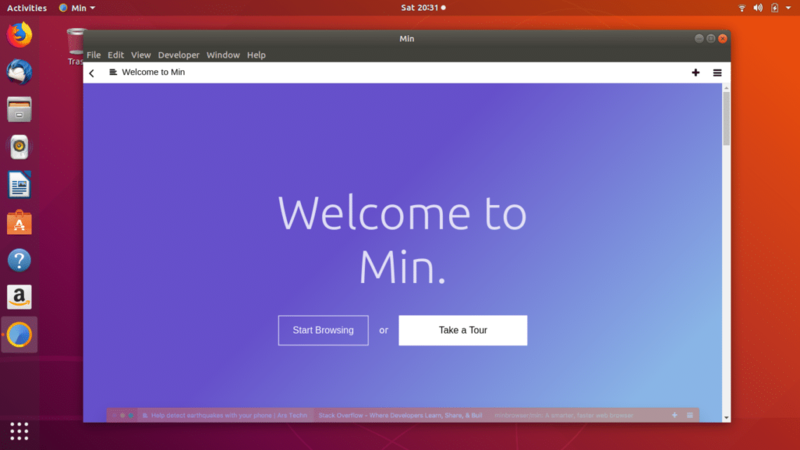 It is a lightweight browser for Linux which works effortlessly on computer systems with minimal hardware. 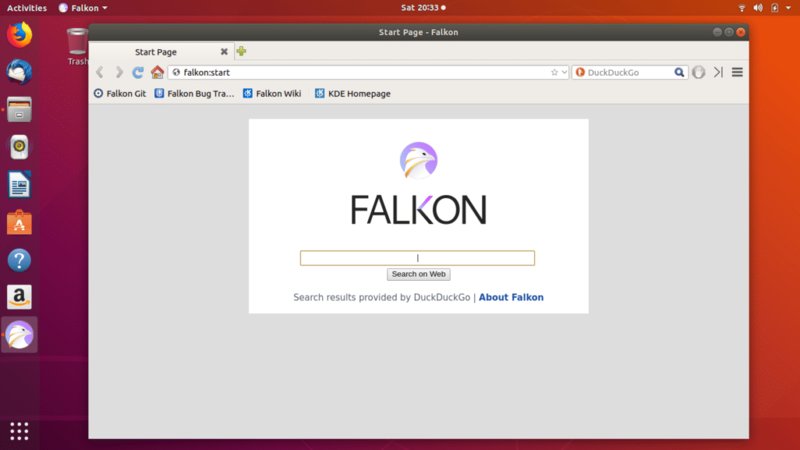 Falkon is available as a snap package for Ubuntu and it can be installed by running following commands in Terminal. Based on Webkit rendering engine, Midori is a free lightweight web browser which is available for various Linux distros such as Ubuntu, Xcfe desktop environment and many more. Being a lightweight web browser doesn’t stop Midori from competing with most of the web browser listed here in terms of features on offer. Some of the notable features Midori offers are seamless integration with HTML 5 and CSS 3, speed dials, private browsing, tab management and speed which is shoulder-to-shoulder with Google Chrome. Apart from that it has very beautiful user interface which is designed and crafted with latest technologies. Modori ships in as a default in many Linux distros including Elementary OS. Its user interface is fully customizable and supports RSS feeds, mouse gestures. It also comes up with built-in Ad-blocker for faster browsing and security. GNOME Web (earlier know as Epiphany) is web browser developed by The GNOME Project for GNOME desktop environment and it is also available for most of the Linux distros including Ubuntu. Despite being a lightweight web browser, it sports an excellent user interface which is fast and user friendly. GNOME Web is a Webkit based web browser which offers features like GNOME integration, bookmarks, support for web application mode and many more. As it is a lightweight you can’t expect lot of features in it as compared to other browsers listed here. This web browser also comes with read mode support for distraction-free version of web page so that you can only focus on reading. In read mode you can adjust text size, change background colour, and customize layout for comfortable reading experience. Slimjet is another web browser on our list which is based on Chromium project but it is a closed-source web browser. Name of the browser is divided into two parts which show the primary objective behind its development. Slim for its lightweight nature while jet indicates that it is one of the fastest browsers out there. Slimjet is the only browser that automatically blocks the ads without any plugins, extensions or tweaks. Apart from that it offers features like YouTube video downloader, download manager, automatic form filler, customizable toolbar, online video recorder, support for plugins and themes, mouse gestures, and many more. If you are on older releases of Ubuntu where Google Chrome has stopped support then this could be really good Chrome alternative for you. It has some similar features to Google Chrome web browser and you can integrate your Google account to sync your bookmarks, history from your mobile phone web browser. If you prefer privacy and data security than anything else then Iridium web browser is the best for you as it is specially customized to not share data. Many of Google Chrome users might know that it sends lots of user information to Google servers and many of you might not like it. Then comes the Iridium which is privacy conscious and can prove to be very good alternative for Google Chrome web browser. Iridium is also based on Chromium project and hence you will find various similarities in its look and feel to Google Chrome. This also gives you to download and install plugins from the Chrome Web Store. Iridium offers features very similar to the ones in Chrome and I have to admit everything worked smoothly for me. Browsing experience was also very good as web pages were loading fast and smoothly. To install Iridium on Ubuntu, run following commands in Terminal one-by-one. 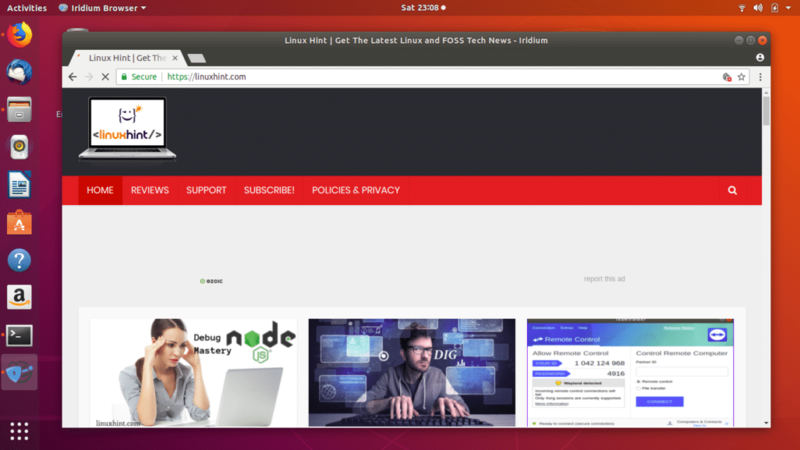 So these are the 11 Best Web Browsers for Ubuntu as of 2018. Browsers listed here are all tested on Ubuntu 18.04 LTS edition and I am sure these browsers will work effortlessly on older releases of Ubuntu too. If you think I have missed out on any other browser here, you can always share your suggestions and thoughts at @LinuxHint and @SwapTirthakar.